You have decided for Shopware: Congratulations! We are very happy to greet you as a member of our community. There is plenty to discover and there are many useful shopware-pages besides your own shop we want to introduce to you in this article! On our homepage you find all important information about our product, comparison of versions and possibilities to contact us. Besides the partner list, which offers you an easy way to find a fitting agency, to assist you with your requirements, you also get an overview about the training possibilities of Shopware. Also you have a blog with all news, case studies and many more information. If you want to extend your shop with functions not available by default our community store is the right spot to look at! Here different shopware manufacturers offer their individual extends for the shop software. Besides payment-interfaces you find many useful tools to optimize your individual onlineshop. If you might have a extension of shopware yourself you want to offer other customers you are also right here! 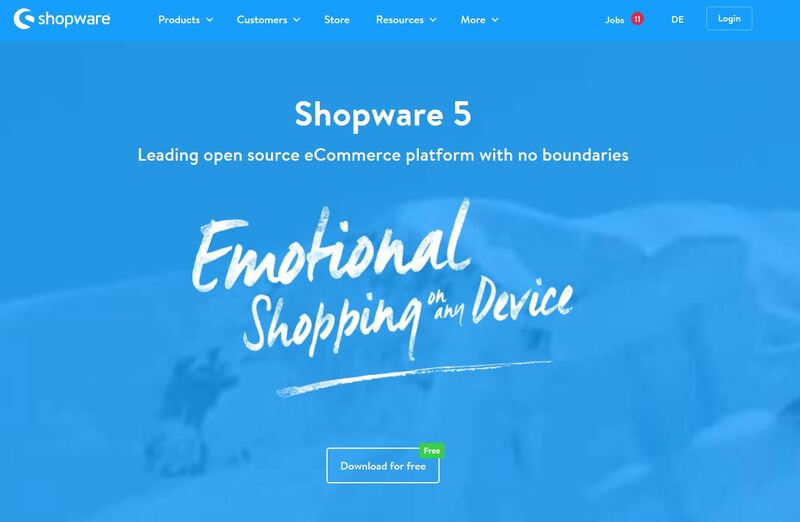 The Shopware account is the main spot of the Shopware universe. 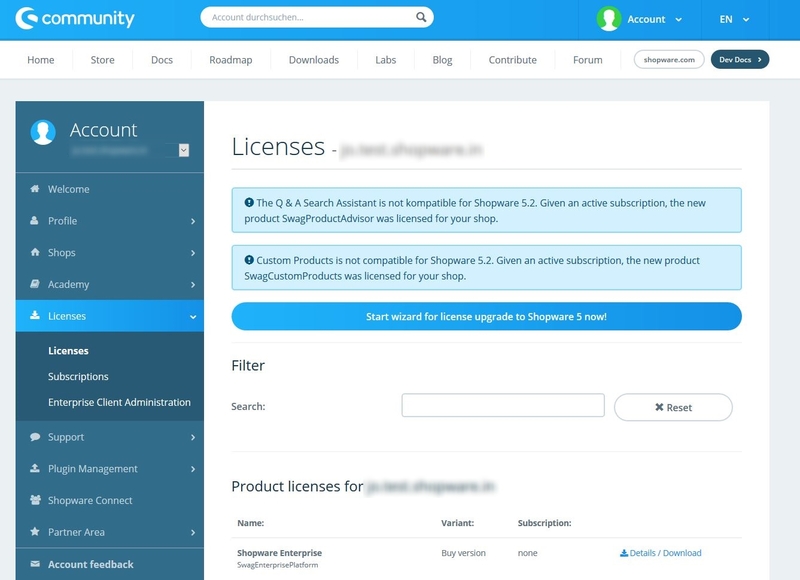 Here you can look at your purchases and invoices, change your entered data or ask questions to the official Shopware support. The licence overview offers you a compact display of all your licences and extensions you bought from us. 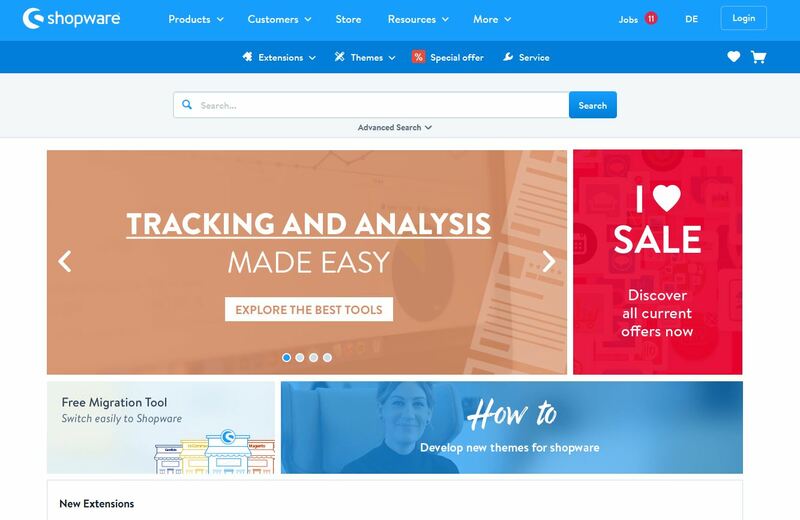 Here you find articles that help you configure your shop, create products or deal with problems. Furthermore you find the download overview including information about the Shopware versions, evaluation software and updates. 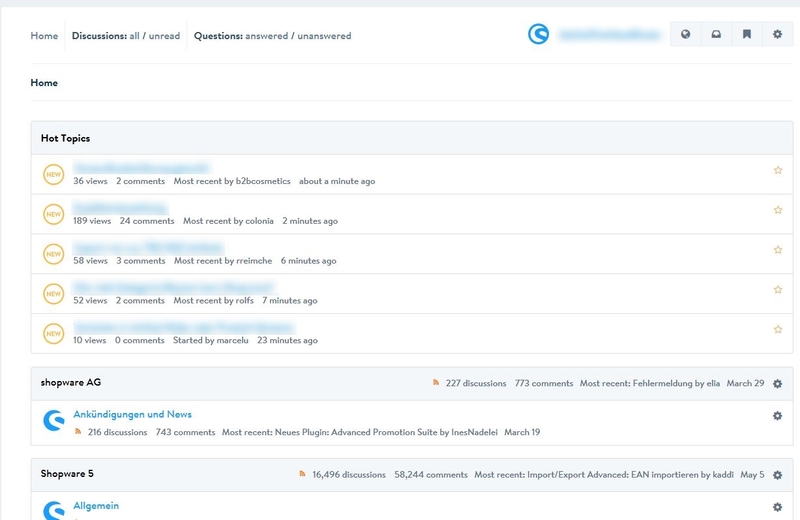 The Shopware roadmap is also displayed transparently and visible for everyone on the roadmap-page. As the main page of our community the wiki page also contains the forum access. There you can share experiences and get in touch with other shop operators. As a developer or web-designer this is your area. This page contains all information about the technique behind Shopware and how to extend it. If you want to implement your own plugin or want to realise a simple design change you find multiple examples in our developer documentation to support you with the task at hand. Additionally you find another blog here that offers you further information out of the shopware environment. We hope you do not have to visit this page very often. Our issue tracker is meant for you to tell us about global errors in our software. If you have a problem you can also reproduce in one of our demoshops you have the possibility to report this in the issue tracker. The tickets are then checked by our developers and prioritised to offer you a preferably error free product.